Johan Cruyff was one of the greatest players and coaches in the history of football. His impact is still felt today through the FC Barcelona side of recent times, described as arguably the best ever. He has been credited for putting the foundations for their success whilst Head Coach at the club in the early 1990s. In the obituaries following his death there were numerous tributes written that covered this and his other achievements. However, what wasn’t mentioned in any of these was his relationship with, and appreciation for, the game of futsal and the possible impact it had on him. He described the game in an interview exclusively on futsal as “spectacular”. 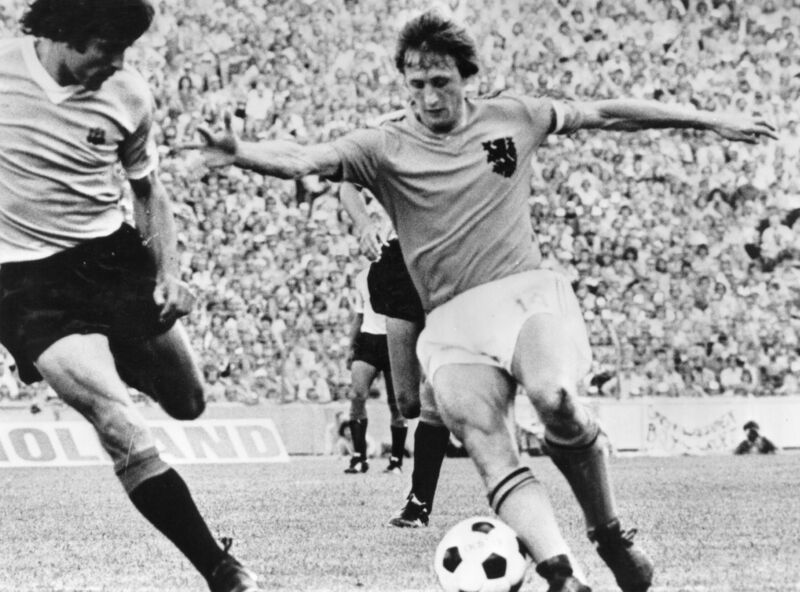 This article will look at the connection between Cruyff and futsal, including some of his words on futsal that have rarely been seen. The intricate style employed by the current FC Barcelona football team has been said to resemble futsal; the utilisation of short passing, playing in between the defensive lines, using positional rotations, deploying constant switches of play to attack the weak side of the defence, high pressing to set up quick counter attacks and the fact that they have players who both manipulate the ball with the sole of the foot and use the toe poke finish. Cruyff’s ideas were formed through the experiences he had during his career and the constant questioning and analysis that formed an innate part of his character. Some of those experiences involved futsal. He was always a fan of the game, playing futsal throughout his career in Holland, Spain and USA. 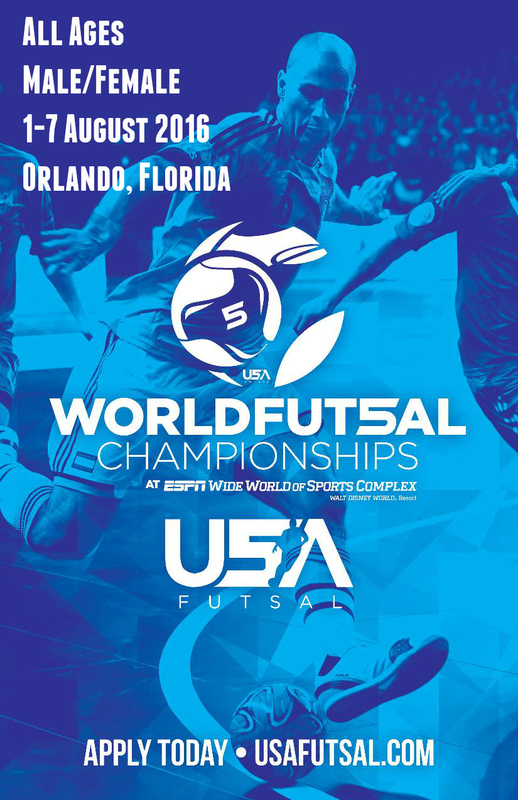 After his retirement from playing, his relationship with futsal didn’t stop as he continued to play occasionally and regularly watched the game on television. Going back, one of Cruyff’s first influences was the legendary Dutch coach Rinus Michels, who was famed for what became known as “Total Football”. As well as success working together at club level in both Holland and Spain, Cruyff and Michels took Holland to the World Cup final in 1974, notably losing in the final, but still earning recognition as one of the greatest teams of all time. 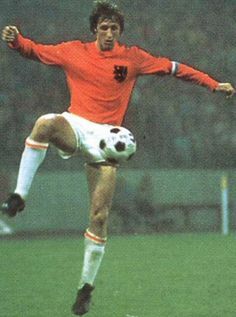 Talking about their style at the time Cruyff said ”I think everyone should be able to play in all the different positions on the field.” He went on to say that “the special thing about the Dutch team is movement. Everyone moves. That’s the basis of it.” These characteristics are also critical in futsal where constant movement and inter-changing of positions are used to find and create space; something which is at a premium in the 5-a-side game. With such success playing in this way early in his career it is no wonder he was such a futsal enthusiast. Later, when he became a coach, his favourite training exercise was known to be a two-touch possession game which used an area half the size of the penalty area, with two floaters on the outside and a 4v4 in the middle. This exercise is a type of small sided game using a reduced space which forms the basic premise of the Spanish futsal training methodology. The two-touch limit encourages the fast ball circulation familiar in futsal; this being an essential part of the game in order to be able to break down an organised defence. Whether what he had seen in futsal influenced his preference for this type of training is not clear. Cruyff prescribed this training method at every level at FC Barcelona, from the youth sides to the 1st team, as he saw it as essential in order to support his playing philosophy that has become part of the club’s identity. He recognised the benefits that training in tight areas offered; “In a small area, the movement is necessarily fast and passes must be pinpoint.” This form of training would later help Spain win the 2010 World Cup as the basis of their squad was trained at Barcelona in this way. Cruyff witnessed the effect futsal training could have on a football player. When asked to name the best player he worked with he responded “it has to be Romario. His technique was extraordinary. Curiously, most of his goals were toe-pokes.” It comes as no surprise that the 1994 World Player of the Year developed these abilities on the futsal courts as a boy in his native Brazil. Cruyff mentioned how futsal presented frequent 1v1 situations and this led to the development of amazing technique and skilfulness. He identified Michael Laudrup as a player who would be successful on the small court and how Laudrup had played the game with his brother (an ex-Rangers star who played for Denmark in the 1989 FIFA Futsal World Cup). No-one knows quite how much futsal impacted Cruyff’s philosophy but we know for certain he was a huge fan of the game and was always questioning what he saw and experienced. With that it would be hard to conclude that it had no influence on his ideas and, through him, played some part in the creation of arguably the greatest football team in the history of the game. Johan (Hendrik Johannes) Cruyff, footballer & futsal enthusiast, born 25 April 1947; died 24 March 2016. Are you subscribed to receive articles directly to your inbox? If not, register below.